Another full MWWT year has passed, culminating in our annual membership meeting and banquet. The evening’s events were somewhat different than usual, owing to the Board’s decision to move the live auction to a later date. That change allowed more time for socializing and exchanging new (and old) stories at the extended happy hour preceding dinner. Highlights of the evening included a new and interesting silent auction, a preview of a Pierce Pond Watershed video being produced to support future fundraising efforts, and selection of the winning ticket for the "300-Raffle." The $10,000 winner was Mike Latti, a long-time Pierce Pond fisherman and member of the trust almost since its inception. Mike has also served on the Board of Directors. Congratulations to Mike and a wish that he enjoys every penny of it!!! As with any change, there had been some apprehension about the new format. 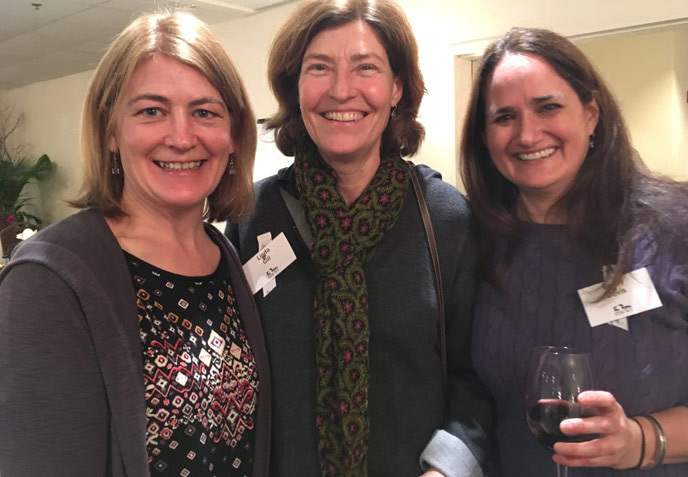 But as the evening wound down, the comments were all positive, with many noting that the whole event was more lively and upbeat, with plenty of time to catch up with old friends and meet the many new attendees. Board member Joanne Gallant was the mastermind of the $100-a-ticket raffle that provided Mike Latti with his winnings and netted MWWT $20,000 in operating funds. She now has a new fundraising idea for the coming year—a bottle challenge! (Not one that involves drinking!) 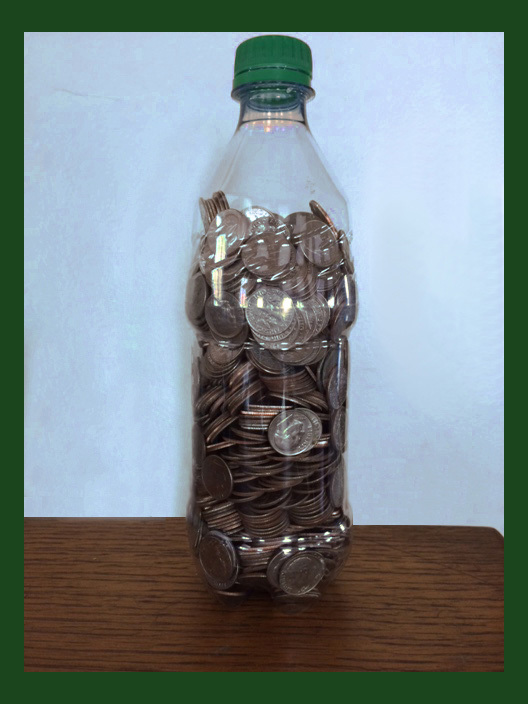 Apparently if one fills a standard 20-oz plastic bottle with dimes, it will total about $100. The plan is to get the membership gathering dimes throughout the coming year and delivering the bottles (or funds, for those who can’t attend) at the annual banquet where they’ll be totaled and announced. We are hoping for $20,000 to $30,000! There will be a special gift for the person/family who fills the most bottles! Our annual live auction has been moved to Saturday, October 21 at the Marriott Sable Oaks in Portland. 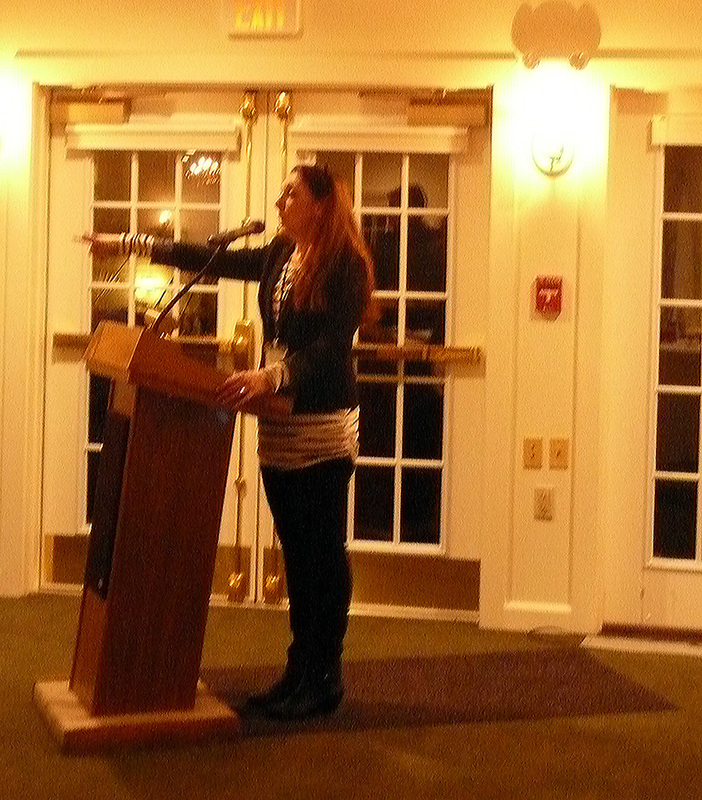 We plan to make it a gala fundraising event that will attract an audience well beyond the MWWT membership. Joanne Gallant is coordinating and managing this effort, but it is a significant undertaking and she can’t do it alone. While we have contracted with Moxie Auctions to provide the guidance to create a major event, its success will be proportional to the support Joanne gets from the Board AND the general membership. As one might guess, the major attraction of this auction will be the items on the auction block! Solicitation of donations to be auctioned is the major effort leading up to the event. You’ll be getting periodic updates and requests for help and support regarding organization, setup, solicitations, etc., so please participate. This is not an event where one should assume that others will do the work. 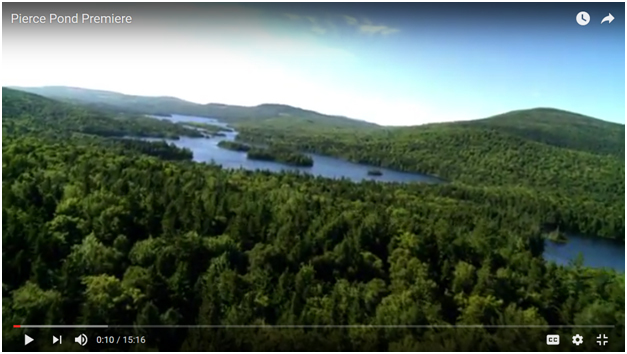 Finally, annual-banquet attendees seemed to enjoy the preview of the Pierce Pond Watershed video, and many constructive comments were provided—both verbal and written. The video is a work in progress and those comments will help considerably in the update of the video as we continue to focus the message. We’re hoping to show new and improved versions to members over the summer whenever and wherever we can gather or find small, interested groups—maybe at Pierce Pond, or at social gatherings in various areas. More news on video updates will be sent as available. All comments and critiques are welcomed. An ice-out guessing contest was staged on MWWT’s Facebook page (https://www.facebook.com/MEWildernessWatershedTrust/posts/397129690665934). Folks hazarded guesses ranging from April 19 to May 17. There’s an MWWT hat in it for the winner! Guessing was closed on April 1.